Claudia Saavedra (Fall ‘17 Fellow) is now a graduate student at Rutgers University-Newark. 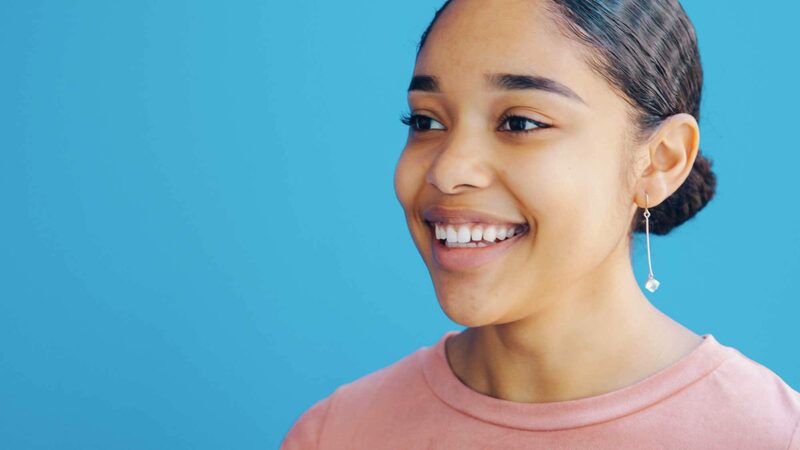 She recently had the opportunity to attend the Forbes Under 30 Summit, so we caught up with her to find out how she was able to snag that awesome opportunity and what her experience was like. I first heard about the Forbes Under 30 Scholar opportunity in my Management Leadership for Tomorrow group chat. Fellows were asking others if they got accepted to attend the summit. I conducted a quick Google search to quickly find out that this opportunity was only for participating schools — consisting of pretty much every Ivy League school and other prestigious institutions. Unfortunately, Rutgers University – Newark was not a current partner. Nevertheless, I did not get discouraged by the initial appearance that I could not apply. I continued to search on the Ivy League websites regarding the Under 30 Scholar application process and after a couple days of searching, I found the program coordinator’s e-mail address. I emailed the program coordinator right away and shared how I founded Flair Now, a college access app, and that I am making a positive impact within my community. I also explained that I attend a non-partner university and wanted to become an Under 30 Scholar. To my surprise, a few weeks later, the program coordinator emailed me with a private application link! As soon as I received the application link, I contacted my peers within my network (even if I only met them once) that have also founded programs or created something from scratch with the application link. 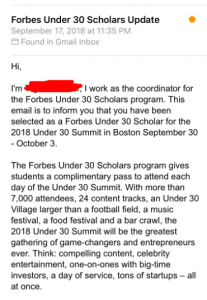 A couple of weeks passed and I received the notification that I was selected as an Under 30 Scholar, granting me the opportunity to attend the Forbes Under 30 Summit for free! 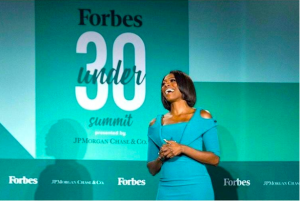 The Forbes under 30 Summit was an opportunity of a lifetime! Although Forbes only covered my entrance (worth $5,000) which I am incredibly grateful for, I still paid for my transportation and housing. Money is tight as a college student, but I knew I could not pass on this opportunity. I reached out to the Dean at the School of Public Affairs and Administration at Rutgers University- Newark and explained how I was named a Forbes Under 30 Scholar but didn’t have the funds available to attend the summit. Again, to my surprise, I was fortunate to be provided a generous source of funding to offset my expenses from my college. I also received additional support from my GoFundMe page. I am #forevergrateful for the network of individuals and institutions who supported me through this incredible experience. 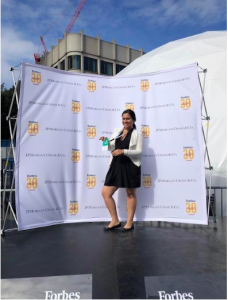 At the Forbes Under 30 Summit, I met game-changers, celebrities, and other entrepreneurs! It can be difficult to connect with people that are so successful, but the Forbes Summit gave me access to them, so I just had to go for it! Some of the speakers included inspiring people, such as Sarah Blakely, founder and CEO of Spanx. The Forbes Under 30 Summit ended with great performances from Butterscotch, Russ and Marshmello. Braven has taught me to not be afraid and to go the extra mile and ask for help. The worst someone can say to you is ‘no.’ So, if you do not ask, you can miss out on a potential opportunity. Apply for an opportunity even if you feel as if you do not meet the qualifications — I know firsthand that this can actually work out! Make sure to open the doors for others for every opportunity that is provided to you. Don’t listen to others if they tell you that you are limiting your chances of being selected by sharing the opportunities with others! Even if you do not receive that opportunity and another person you shared the opportunity with does, be happy for them and support them. Trust me — chances are you will gain them as a supporter! As a first-generation college student, low-income, and an immigrant, I learned to work smarter, not harder towards my goals and achieving success. I learned that if I put myself out there and show my authentic self, people will help me achieve my goals. When you are meeting new people whether it is in the hallway, in class, or a Starbucks, make sure to voice what you want to do and always exchange contacts. You never know, an opportunity might come along the way with the new network you made. It is great to succeed but it is better to have others succeeding with you. For more information on Claudia Saavedra, please visit LinkedIn.